Each episode we cordially invite one of our most treasured – Superheroes, Supervillains, Costumed Crimefighters, Dimension Dwelling Demons, and of course Super-Pets. And so, let us welcome to Precinct1313’s sacredly sanguine sofa of shockingly significant satirical secrets, the vexed vigilante of viably voguish vocalics… V! Precinct1313: Hi there V and thank you so much for joining us on this weeks World’s Finest. Precinct1313: Erm… OK then, though I must warn you that it is widely accepted by my legion of fans that I am unequivocally the auteur of admirably awesome alliteration! V: Your vernacular definitely vies for victory, yet your voguish vocabulary verifies vacuousness! Precinct1313: I see well… hey! wait a minute, did you just call me vacuous!? V: Your vacant visage vouches for your vainglorious views. Precinct1313: So it’s like that is it, well let me just say that your allusion to my allegory is the antithesis of it’s actual astonishingly astounding alliterative absolute! V: Your vapid verbature verifies verve, yet your vainly venal vacuity is a valid vote for your voluble vanity. 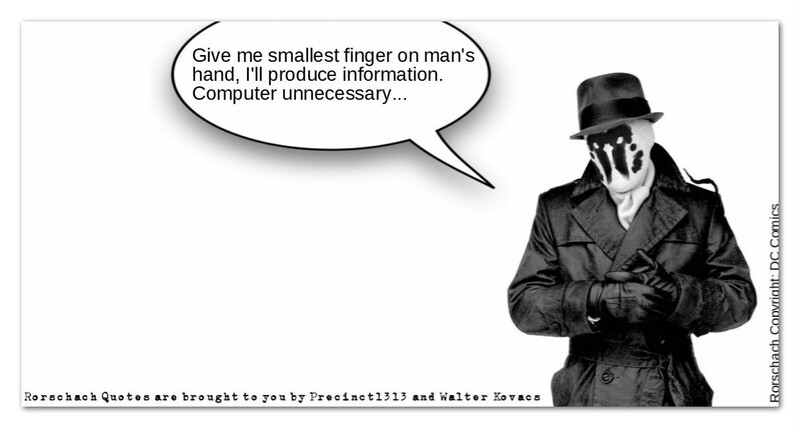 Precinct1313: I… erm… uh… OK I got nothing! Precinct1313: Moving on… I have been an absolutely massive fan of yours since I first read V for Vendetta in the 1980’s, it is one of the greatest comic-book series of all time, and you Sir… you are the coolest! V: I am vividly viewed as a viably vehement vigilante, yet my verve and veracity stems via one vouchee. Precinct1313: Yes indeed, you were created by comicdom’s most prolific and greatest writers the astounding Alan Moore! 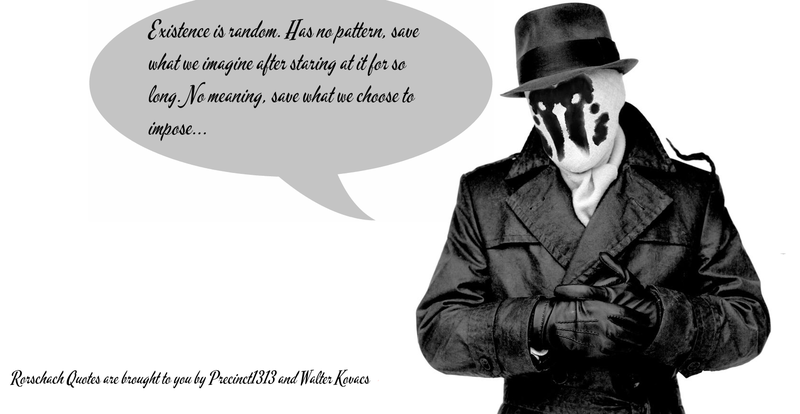 V: Vauntingly unerring is Alan Moore’s volume of V for Vendetta, he is veraciously voluble in it’s valued validity. Precinct1313: It really is a rather poignant and endearing tale of anti-establishmentarianism, that deftly commented upon the state of politics throughout the UK in the 1980’s, drawing greatly upon both Guy Fawkes, and of course, George Orwell’s dystopian novel ‘1984’. V: Moore’s vision was vivid and valuable in its vulpine verbose indeed! Precinct1313: Plus, I also adore the magnificent 2005 cinematic version of the classic series, especially Hugo Weaving’s scene stealing version of your very self, any thoughts? V: Ah, he is indeed a vaudevillian veteran cast vicariously as V, his valorous visitation stands vivified by the votive vox-populi as valued and virtuous, his performance therefore shall never be vanquished via remake or variance! Precinct1313: Wow! 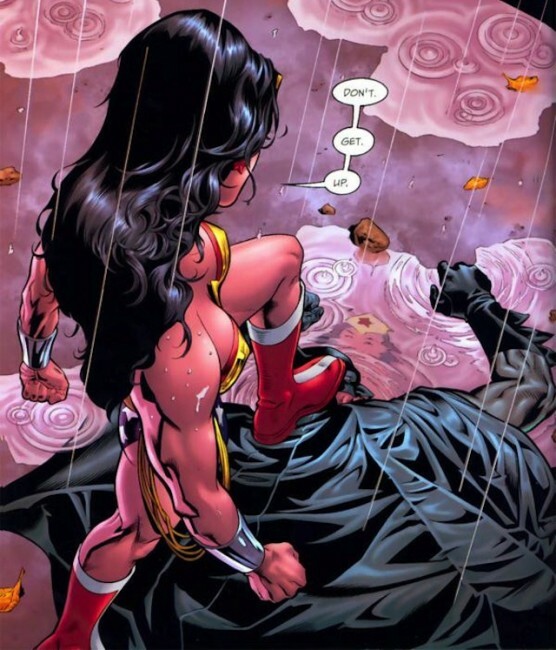 I honestly don’t think I can best that, so on that note V, thank you so much for joining us on this weeks World’s Finest! Precinct1313: OK, OK, there’s no need to rub it in! V’s vision of vicarious valour by vanquishing villainy through vengeful violence against any whose views violate the virtuous vox-populi, is the voyage that vocalises the voracious venture and vanguard of valiant victory. DC Comics have released a teaser trailer for their upcoming animated version of Alan Moore’s classic one shot graphic novel masterpiece. 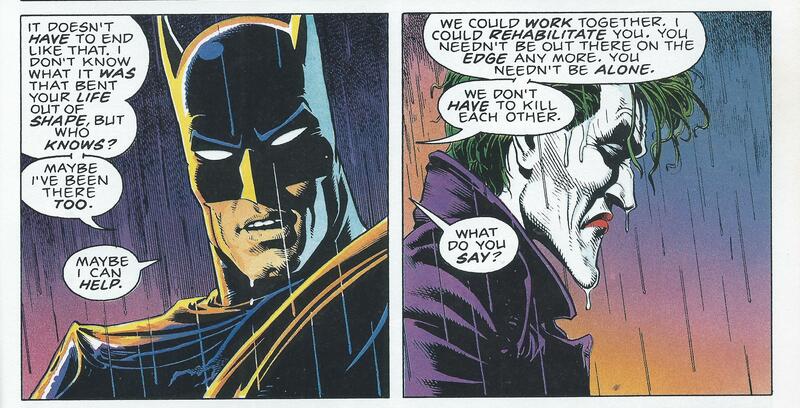 The Killing Joke was written by Moore and illustrated by Brian Bolland and John Higgins in 1988, providing an origin story and psychological motivation for the creation of the Clown Prince Of Crime. It is defined by fans and critics alike as probably the greatest Joker story ever penned and was the recipient of many awards for its conceptual depth and spectacular artwork. The plot revolves around the Joker’s attempt to drive Gotham City’s Police Commissioner Jim Gordon insane, with frequent flashbacks to Joker’s former life before his psychotic break at the hands of the Batman. The tale Explores Jokers assertion that deep down inside all of us there is a psychotic, insidiously waiting to break free from the shackles of sanity. Legendary comic book writer Len Wein has once more taken up the reins of a character he first introduced to the world (alongside Bernie Wrightson) in 1971, the plant elemental known as Swamp Thing. ‘Swampy’ made his first appearance in House Of Secrets #92 (July ’71) in a single issue story that took place in the early part of the 20th century. The character next appeared in his own solo series in 1972, set in the contemporary world and was integrated into mainstream DC universe continuity. Swampy was originally introduced as Alex Holland, a scientist caught in a deliberate explosion set by his co-worker Damian Ridge. Olsen, physically transformed by the various chemicals strewn across his lab, turned into the humanoid vegetative mass known as Swamp Thing. After the success of the standalone issue, the creators were approached to write the ongoing series, Swampy’s backstory was altered slightly and the series itself brought forward to a modern setting. 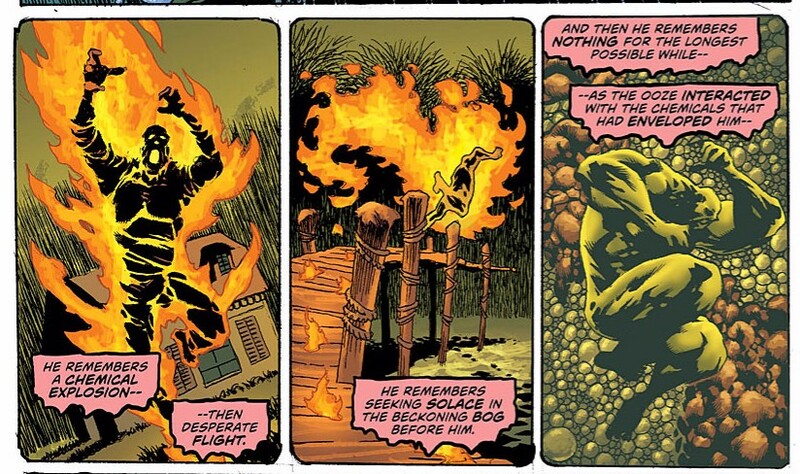 British comic writing luminary Alan Moore took control of the character from Volume 2 (August ’85) and altered Swampy to an elemental entity that was created upon the untimely death of Alec Holland, absorbing the personality and memories of the scientist into itself, Moore described it as “A plant that thought it was Alec Holland, a plant that at its level best was trying to be Alec Holland.” Alan Moore pushed the character into even greater popularity, and his run has ultimately stood the test of time, and like all his previous works (Watchmen, V For Vendetta) has cemented itself into legendary status amongst fans. 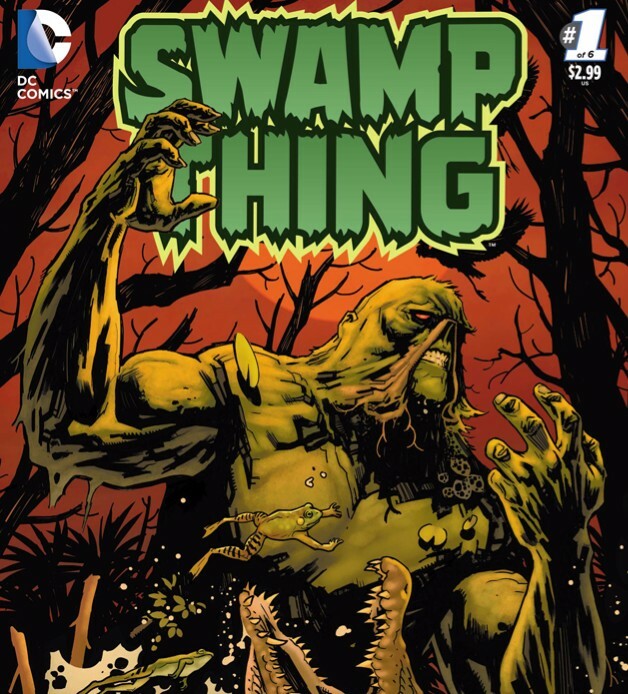 This month, Len Wein returns to his beloved character with the first part of a six issue mini-series, that is taking, very much, an old style approach to Swampy, with horror overtones comparable with titles such as DC’s House Of Mystery, and EC’s Tales From The Crypt. This fantastic first issue is a definitive return to Wein’s original version of the character, very different to the New 52 run by Scott Snyder, whilst still retaining all the elements that make Swamp Thing the character we know and love. Artistic talent falls to Kelley Jones, whose distinctive style is perfect for this character, lending a tense and claustrophobic feel to the proceedings with a heavily shaded ‘chunky’ approach. 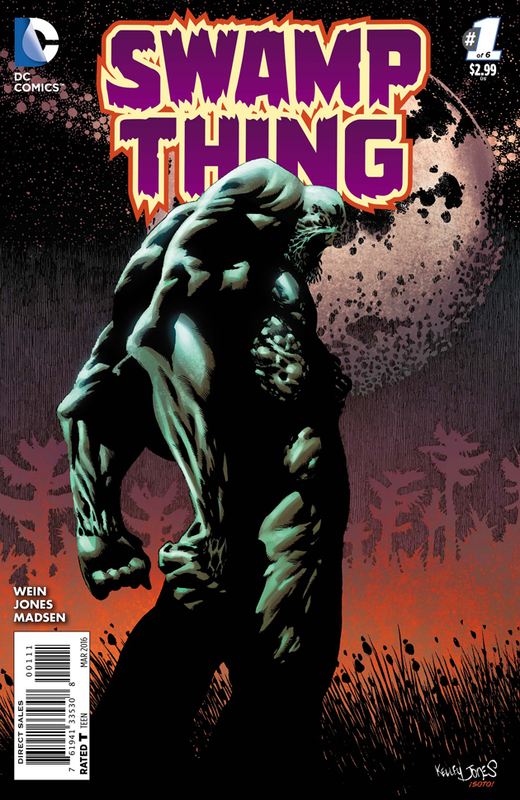 Swamp Thing #1 is a perfect read for both old and new fans alike, with no prior knowledge of the character’s background needed, making this the ideal starting point for newcomers wishing to get to know one of the most unusual and well written comic book characters ever created. 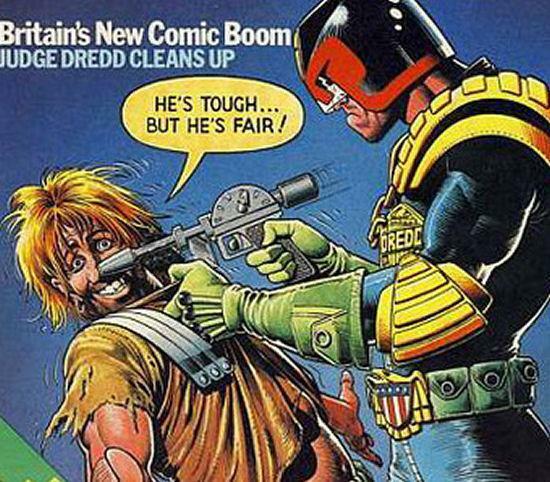 Highly recommended and available for purchase at your local comic-book emporium right now. Alan Moore’s 1988 one-shot masterpiece “The Killing Joke” is to become an animated movie, it was announced at the San Diego Comic-con by animator and producer Bruce Timm during the “Justice League: Gods and Monsters” panel, with the movies release date set for 2016. 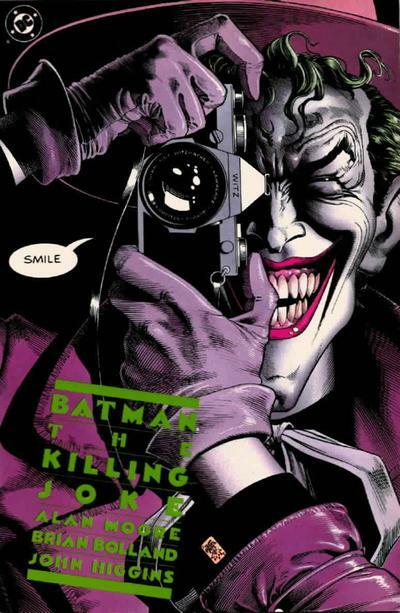 The Killing Joke was penned by British writer Alan Moore to provide an origin story and psychological motivation for the creation of the Joker. Defined as the greatest Joker story ever told by many critics, the graphic novel won many awards for its deep conceptual story-line and spectacular artwork by Brian Bolland and John Higgins. The plot centres on the Joker’s attempt to drive Gotham City’s Police Commissioner James Gordon insane, and is frequently interposed by flashbacks to the titular villain’s past life before his disfigurement and insane criminal exploits. The book explores the Jokers assertion that deep down in everyone there is a lunatic waiting to break forth, and that a tragic past can create both a hero or a villain, with the ‘one bad day’ scenario that turned Bruce Wayne into a protector of the innocent forging meaning from tragedy, but the Joker into a maniacal villain who reflects on the absurdity of being.